You all already know that you can save a lot of money by cooking at home, rather than eating out. And you also already know that Instant Pot is the favorite kitchen gadget to make food at home. And it is the Number 1 choice for Indian cooking. If you didn’t already know, Indians have been using pressure cookers forever. If you have done some Indian cooking before, you will most likely have all of the spices needed to make these curries at home. They are also easily available on Amazon or even better at your nearest Indian grocery store. All of these curries pair perfectly with rice or naan/roti. Just buy naan or make some roti. Even better use your instant pot to make perfectly cooked rice. Here is the list of curries you would love to enjoy this fall. 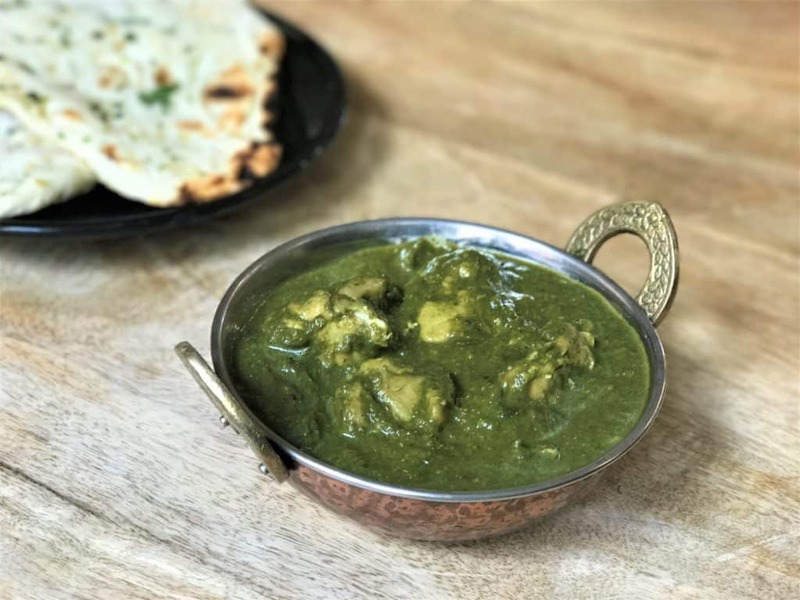 Chicken Saag (Chicken & Spinach Curry) is one of the delicious north Indian dish. Chicken is simmered in a creamy spinach sauce. Sounds exotic? Don’t worry, it is super easy to make. This curry is full of flavor and loaded with nutrients. “Saag” is basically a Punjabi term used for leafy green preparations. These could be make with spinach, mustard greens, chard, etc. A favorite at Indian restaurants for the vegetarians. This dish is also popularly known as Paneer Makhani. 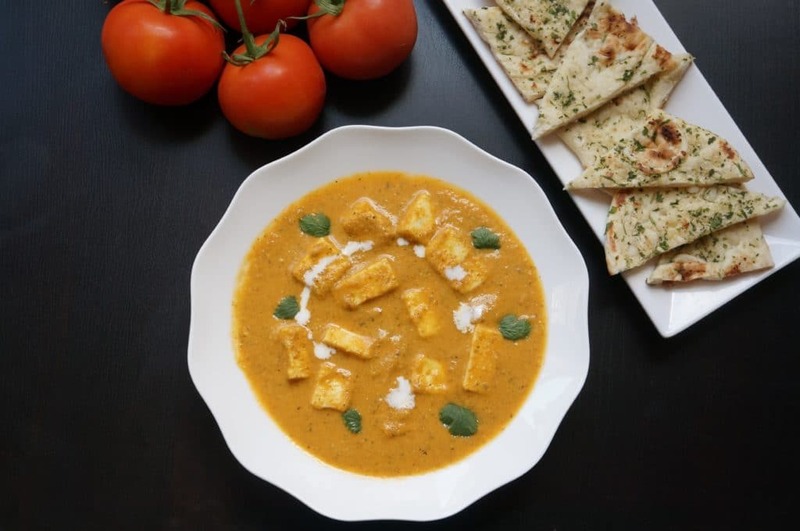 It has chunks of paneer or cottage cheese cooked in a mildly spiced onion tomato gravy. It is so smooth and creamy that you will not want to stop eating it. This chicken curry is made in a simple onion-tomato gravy with the aroma of whole spices. 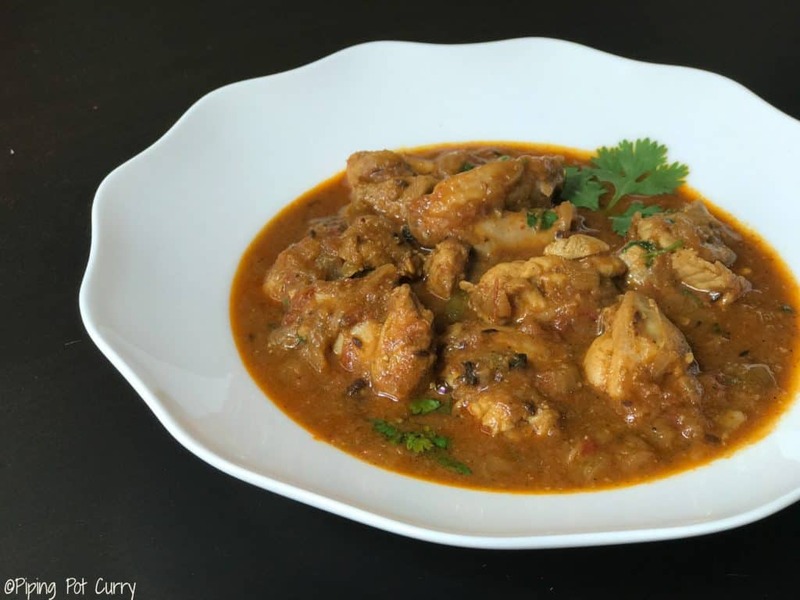 Mom’s authentic chicken curry recipe recreated in the instant pot along with tips to get the perfect flavor. Pav Bhaji a popular Indian street food. It is made with potatoes and vegetables cooked in a tomato base, and enjoyed with pav or dinner rolls. 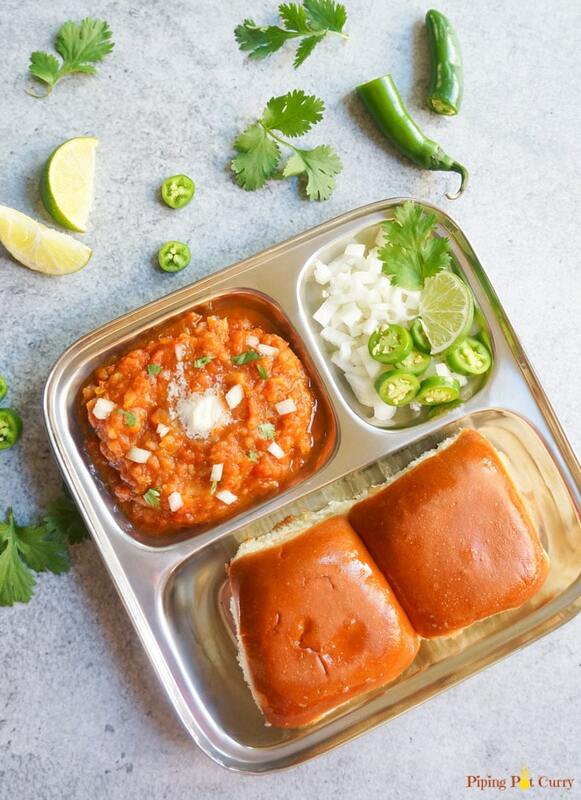 This one-pot recipe prepared in an Instant Pot makes cooking pav bhaji much easier and quicker, but does not compromise on the taste. 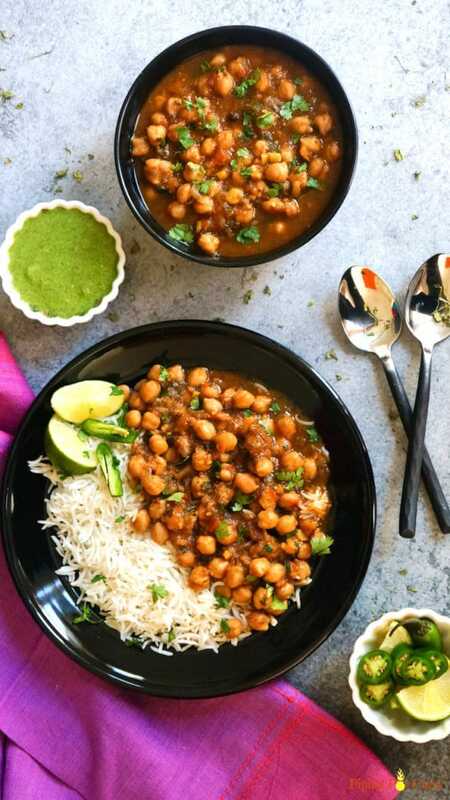 Punjabi Chole Masala / Chana Masala / Chickpeas Curry made in Instant Pot. Chole with bhatura or naan was a favorite weekend meal growing up. Chole take very long to cook, hence they are perfect for pressure cooking. With this one-pot recipe, you can enjoy chole even on weeknights. 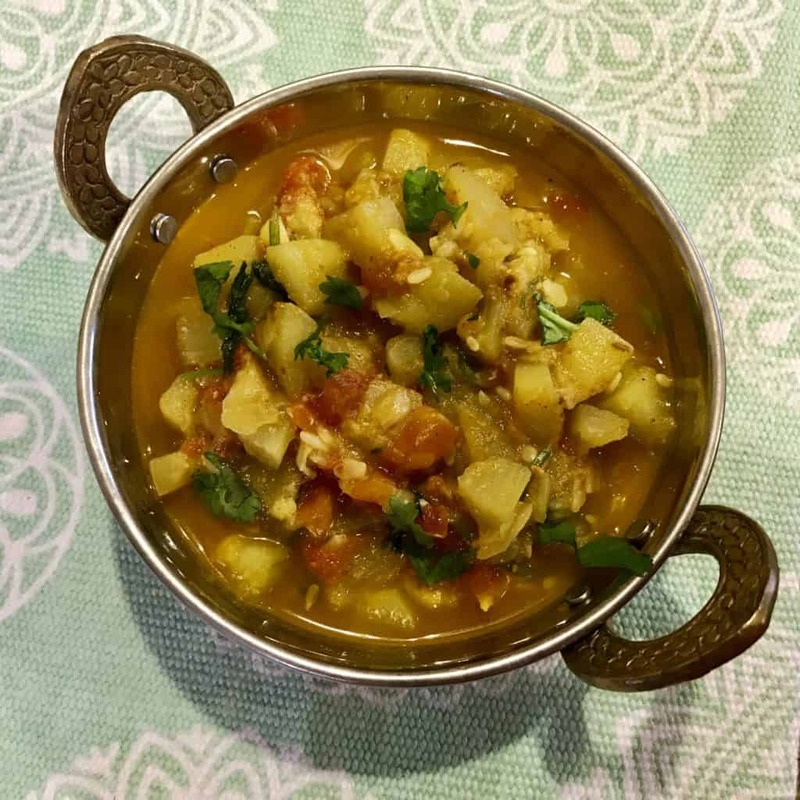 A very simple and traditional North Indian curry Bottle Gourd or Lauki Curry. It is unbelievably tasty…and not to forget super nutritious. It is light on the stomach and easy to digest. 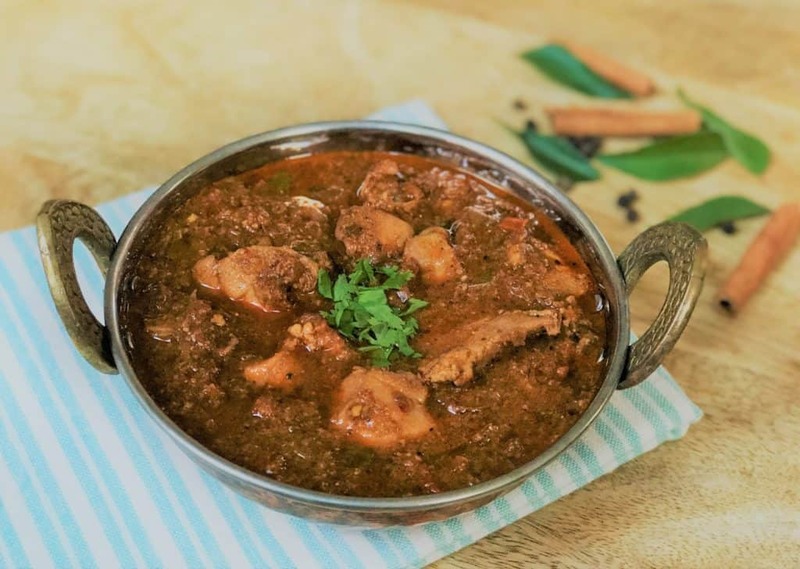 Chicken pieces cooked in aromatic chettinad spiced gravy, so delicious and exotic. You will not want to stop eating! Chicken Chettinad is one of the most flavorful chicken dishes from South Indian cuisine. 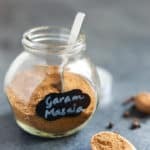 It uses a variety of spices and the dishes are made with fresh ground masalas. The fresh ground spices are what give an exceptional taste to chettinad dishes. Mushrooms, also known as kukkarmuta and khumbi in hindi are a source of powerful nutrients. 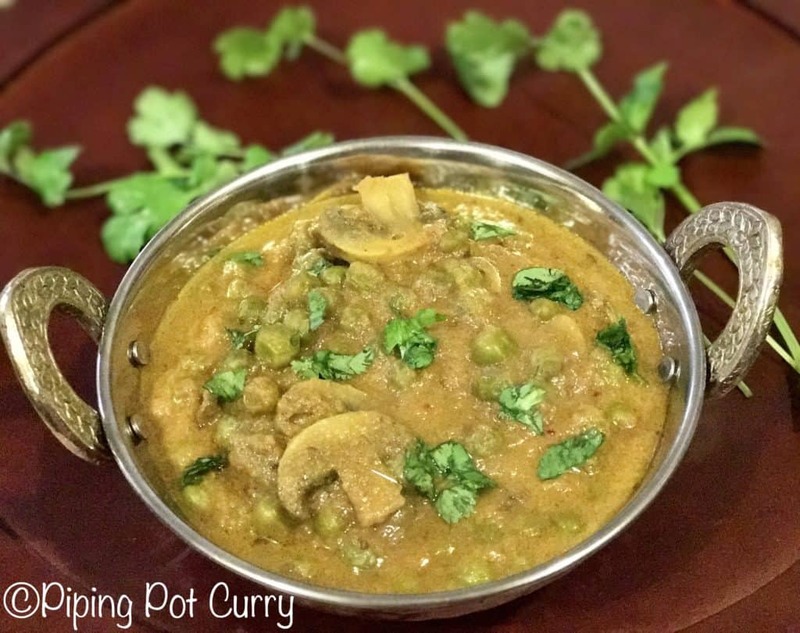 In this curry, chopped mushrooms and green peas are added to a creamy onion-tomato gravy. This combination makes it a super delicious curry that can be enjoyed with rice or naan. 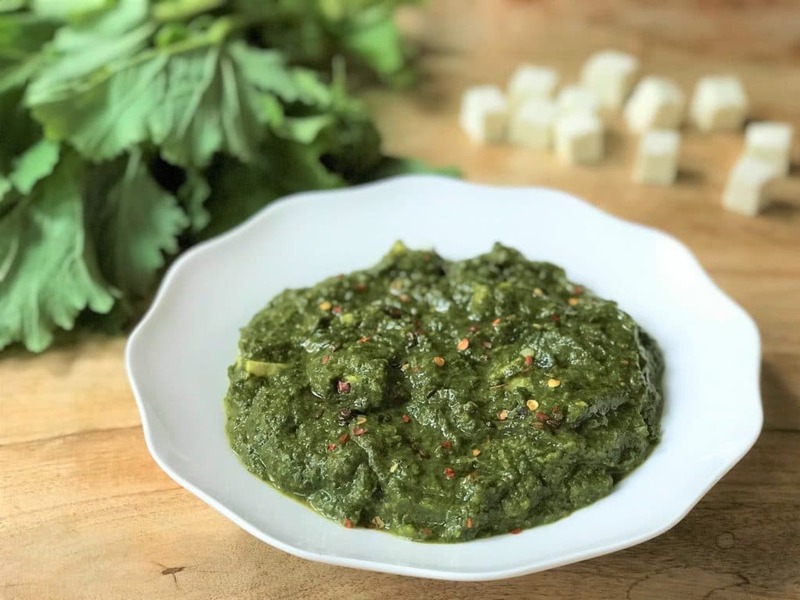 “Sarson ka saag te makki di roti”, which means mustard saag with bread made from corn flour, is what my Punjabi family loves for a scrumptious weekend meal. Saag Paneer is made by cooking mustard leaves and spinach with spices and cottage cheese. It is delicious and very nutritious. The best part is with the instant pot, it is very quick to prepare as a one-pot recipe. 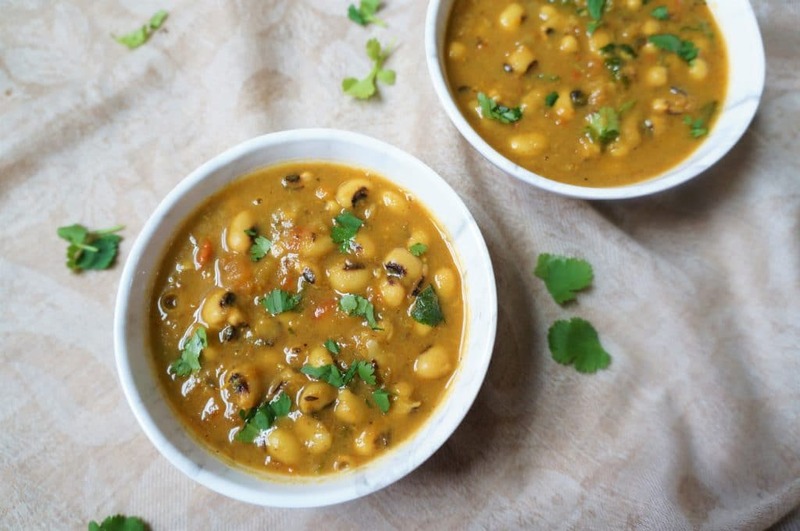 Try this delicious black-eyed peas curry, so delicious with a side of rice. 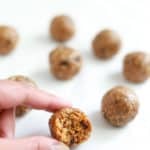 Make them in less than 30 minutes in the instant pot. For a variation, top them with spinach or chard. 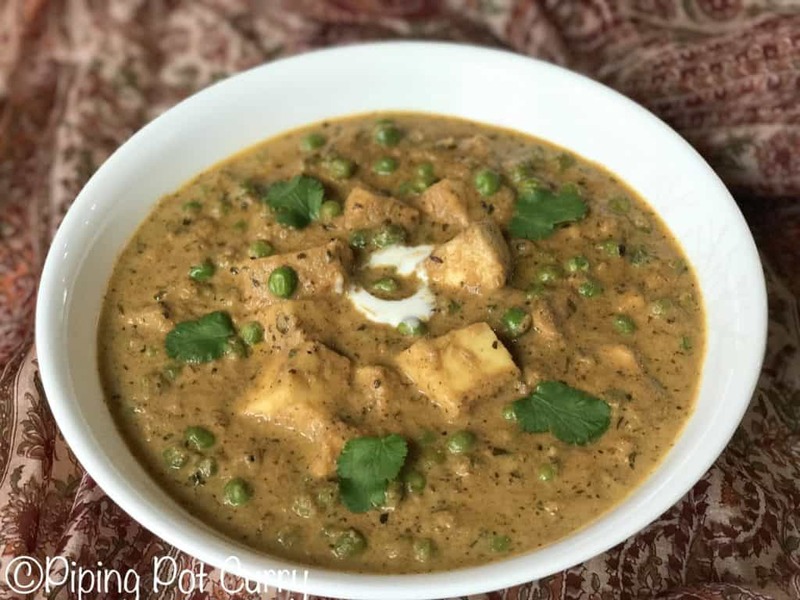 One of the favorite North Indian curries…Mutter Paneer Masala. 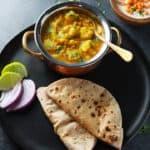 This is one of my go to recipe when I have guests at home or even on weekends, when I crave homemade north indian food. 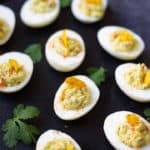 My go-to recipe adjusted to make in an instant pot. 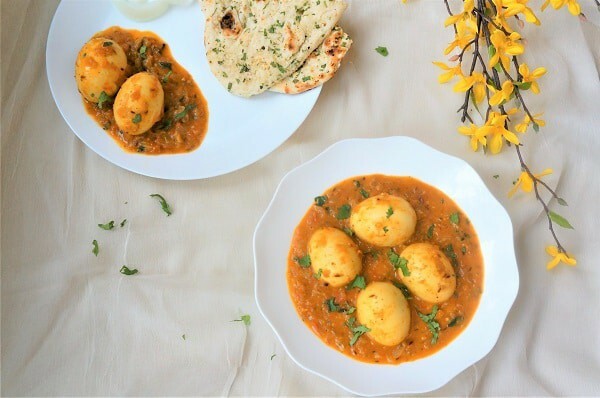 This Instant Pot Egg Curry is made in a unique way by making the curry sauce and boiling the eggs together, saving precious time. Check it out to see how. 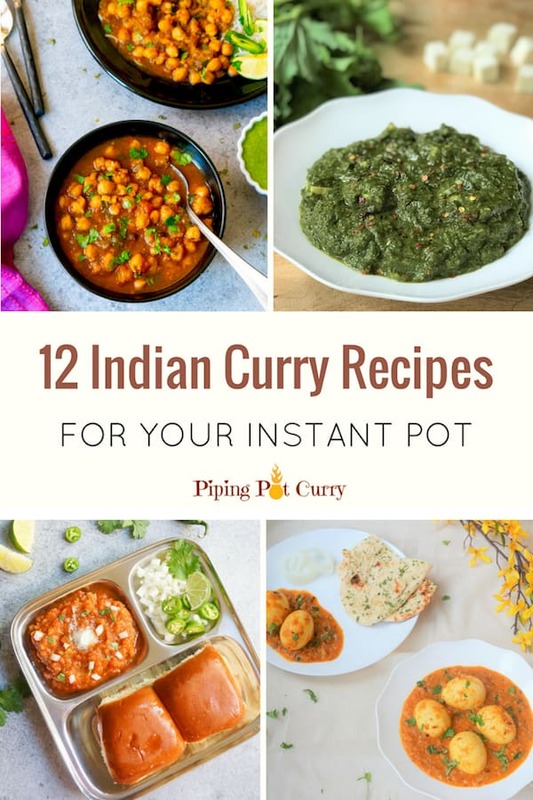 I hope you have found your favorite Indian curry recipe to make in the Instant Pot! Let me know what you are most excited to make, and when you make it, dont forget to tag #pipingpotcurry. Is your favorite curry missing in this list? Leave a comment below to let me know your requests! If you are wondering where have all the lentils gone from this list. Here is a lentil and legumes roundup for you! 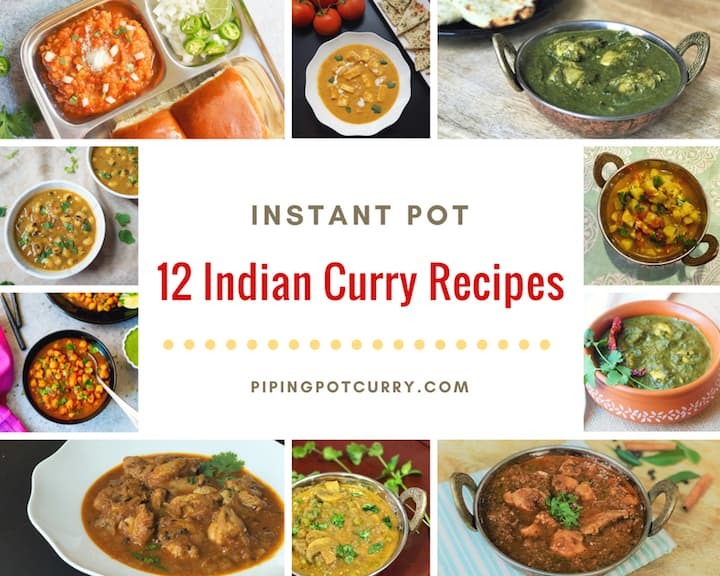 Don’t forget to check out our roundup of 23 Best Indian Instant Pot Recipes and 10 Delicious Indian Desserts from the best blogs for Indian Instant Pot Cooking. It is not Gujarati style but feel free to change to your taste. Here are some dry curries on the blog – Aloo Beans, Aloo Bobi, Aloo Simla Mirch, Bhindi & Cabbage Peas. I really ENJOy your recipes!!! Thank you for making my daily meal making simple!! :).. Please share more vegetarian recipes.. 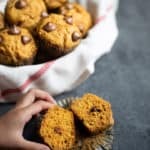 I love all your recipes and very exact. I just made Matar Paneer and it came out delicious. Another favorite of yours is black eyed peas. Hey Kavita – Thank you for sharing your review. I am glad that you have loved multiple of my recipes. Feel free to contact for any questions with the recipes. Thanks and they all look delicious!!! My neighbor gifted me a big bag of chickpeas so I want to try that recipe with them.